Lawn Shop Lawn Fertiliser – NMAXX is the most efficient stabilised nitrogen source available fresh from the USA. Why not innovate by using this fantastic NEW lawn fertiliser product, which has never been offered to UK lawn owners before? If you manage a lawn treatment company or garden maintenance company offering a lawn fertilising service, the NMAXX range is the best suited range for your needs as it offers new technology at a very low unit cost per square metre. Prices may be negotiated for multi bag orders. It is not slow or controlled release but a uniquely formulated Nitrogen source with two proprietary enzyme blockers that minimize urea nitrogen loss to the atmosphere and groundwater. More Nitrogen stays in the soil where the turf grass plants need it, in its stable, ammonium form. 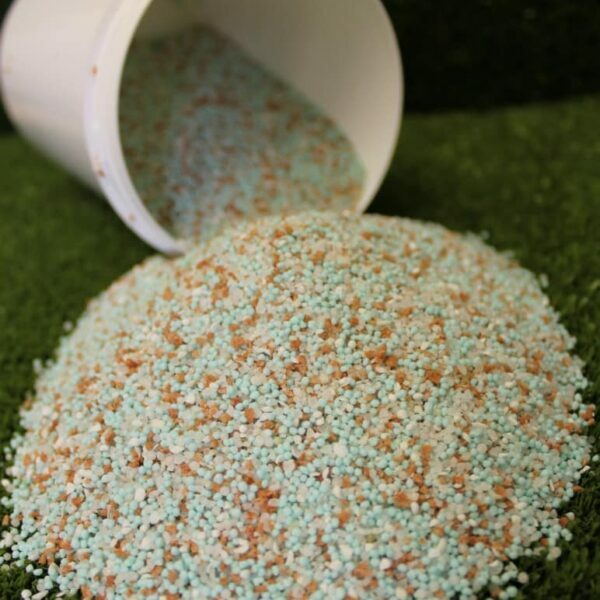 You apply nitrogen fertiliser to feed your turf and plants, and NMAXX insures they get as much of this essential nutrient as intended. Stabilised Nitrogen does not require microbial breakdown of chemical bonds or a sulphur coating to accomplish this longevity. It simply prevents microbial oxidation of the ammoniacal form of nitrogen for a period of time, depending on the concentration of the nitrification inhibitor Dicyandiamide included in the product. With an analysis of 25-5-12 plus 2% Magnesium it is an ideal early spring and summer fertiliser for all lawn types containing 50% NMAXX. 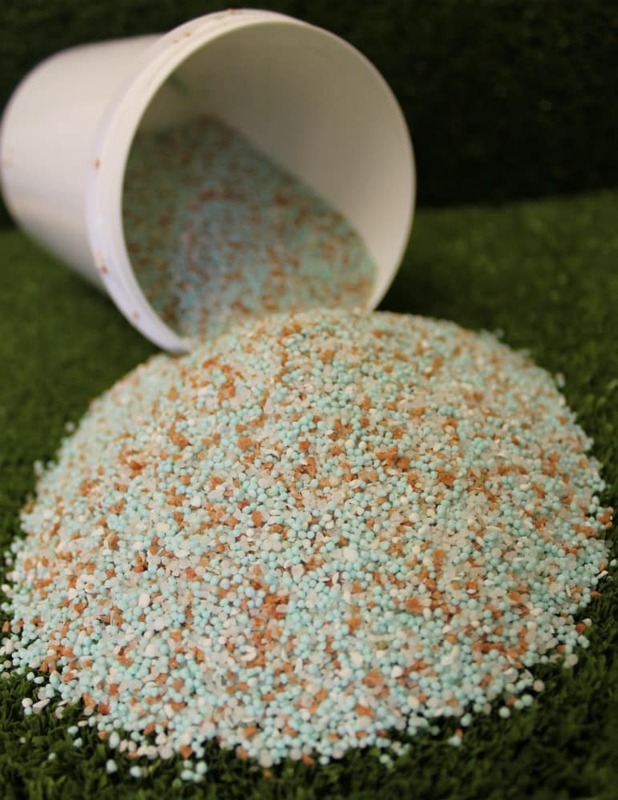 The release of Nitrogen will be over a 12 – 16 week period with some initial green up as some of the nutrients are available to the turf grasses within a few days following application, without the rapid vegetative growth flushes that can be experienced from some conventional mineral lawn fertilisers. It has a low scorch potential if properly applied, allowing ease of application. One 5 Kg Bucket will cover 166 square metres per single application when applied at the recommended rate of 30 grams per square metre. The typical cost per single square metre will be 10 pence. Best applied via a spinning disc fertiliser spreader. Contains no moss control and no selective weed killer.